The Playmobil Airport with Control Tower is the perfect set for recreating the airport experience. The Control Tower is keeping an eye on the sky for planes waiting to land. Within the airport customers are waiting for their bags to be checked and loaded ready for their holiday. Make sure you keep an eye on the check in board for departure times. Includes: 5 figures, check in desk, passport control, convey belts, airport building and accessories. 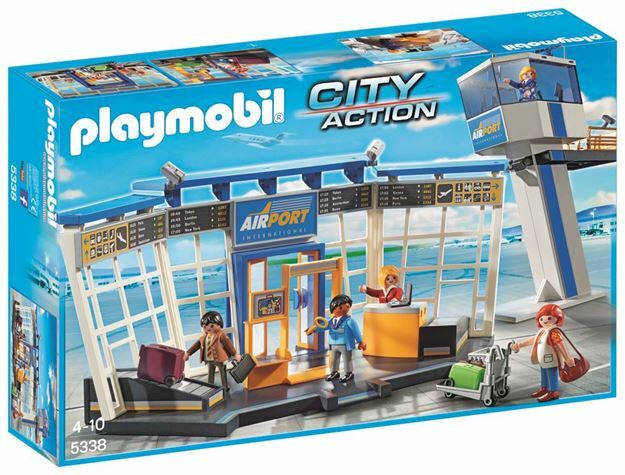 Part of the City Action range. Age 4+ years. Distributed in New Zealand by Holdson.